Centro de Excelencia » International Week in Common Law and Social Safety. 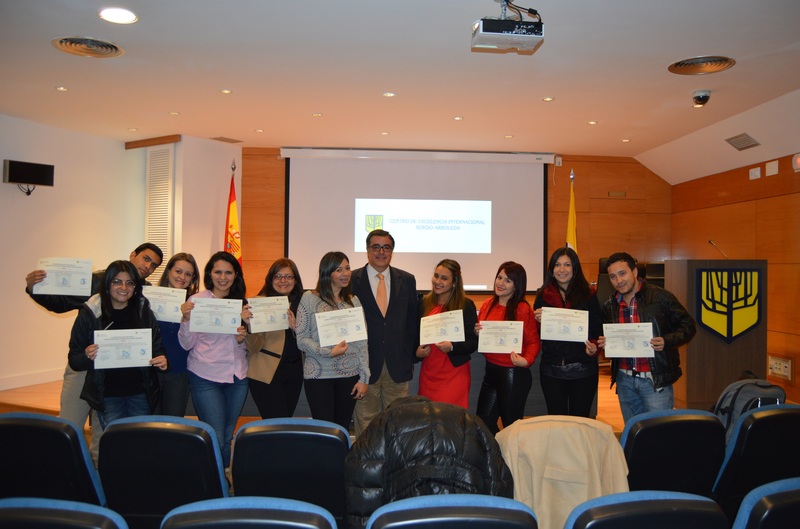 November the 10th began the International Week of Common Law and social safety in the international Centre of Excellence Sergio Arboleda, Madrid. This international week allows the participants to get a wide vision of the system in work relations and safety security in Spain, since they all are from different disciplines and come from different jobs. This also allows for making comparison between their hometown and the country they currently live in. The students have been to many institutional visits such as, FREMAP, cooperating company in social safety which lead and protect from work accidents and professional illnesses and GRUPO ACTUAL, Spanish Company from RR.HH. Specialized in the identification and development of human talent with presence in Spain, Ecuador, Mexico, and Dominic Republic.